HP uses Intel's Optane memory to boost slower drives, and offers a 144Hz panel at the high end. 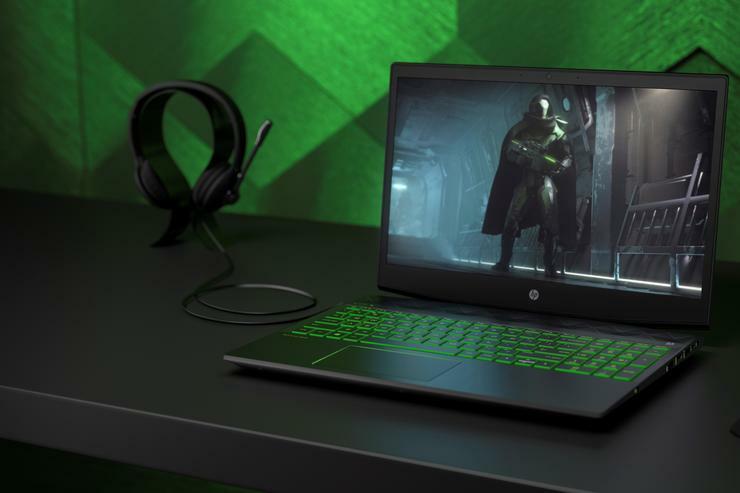 HP’s Pavilion Gaming Laptops are jumping straight into a massive, multiplayer battle royale, as PC vendors vie for mainstream gamers’ money. The Pavilion Gaming line, announced Wednesday, is due to ship in late May or early June (and also includes desktops). It closely follows the Dell G series competition announced April 3 and shipping later this month. Meanwhile, Lenovo’s Legion gaming line and Acer’s Nitro affordable gaming PCs are already on the field. In other words, it’s a great time to be shopping for a gaming PC. HP and all of its competitors have entry-level models in the $750-$800 range, and higher-end models hitting $1,000 or more. It’s hard for any one of these vendors to stand out, but HP has made some interesting choices in storage technology and other details. Let’s take a closer look. 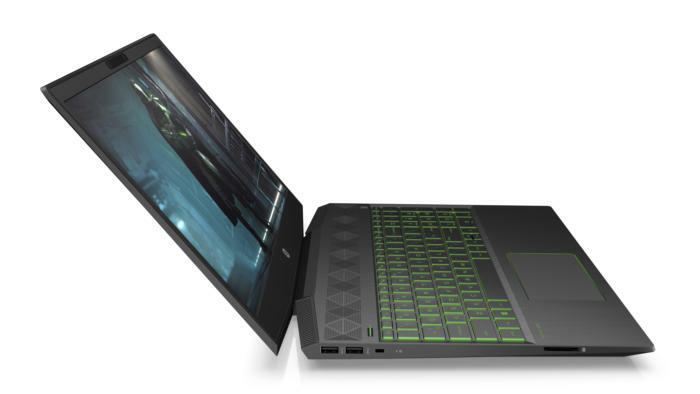 The Pavilion Gaming Laptop’s angled corners have large vents chiseled into them. HP’s Pavilion Gaming Laptops start off with just one 15.6-inch laptop form factor, and many possible configurations. For the $799 starting price you get an Intel Core i5-8300H CPU with 8GB RAM, and a 15.6-inch, 1920x1080 display. The storage has two upsides: the 1TB hard drive runs at 7,200rpm, when we’re seeing a lot more 5,400rpm drives in this price range. A 16GB Intel Optane Memory module provides fast cache to make the drive feel a lot faster. On the other hand, the AMD Radeon RX 560X discrete GPU is a bit lower-end than the Nvidia GeForce GTX 1050s you’ll find on similarly priced models. Probably. AMD hasn’t formally announced a Radeon RX 560 and didn’t respond to PCWorld queries, so we’re assuming this is a somewhat tweaked version of the standard RX 560. HP does better at the $909 price point: You get the same Intel Core i5-8300H CPU with 8GB RAM, but graphics graduates to a GTX 1050Ti. Storage remains generous compared to the competition: a 1TB, 5,400rpm HDD for files, plus a 128GB SSD to speed up your OS and applications. Backlighting choices include Ghost White, Ultraviolet, and Acid Green (shown). If your budget stretches to $1,000, you have a few new choices. 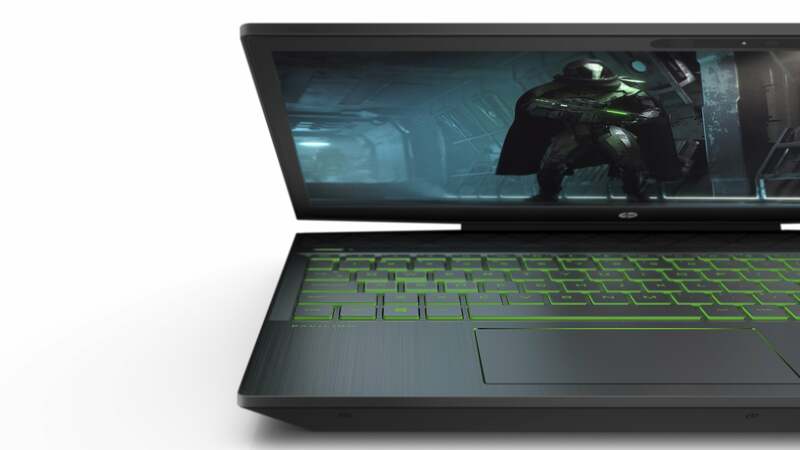 The $1,019 configuration of the Pavilion Gaming Laptop comes with Intel’s faster Core i5-8750H and 8GB of RAM. The GTX 1050Ti remains, but HP upgrades the display from 60Hz standard to a zippy 144Hz refresh rate. Storage returns to a 1TB, 7,200rpm HDD and 16GB of Intel Optane Memory, but that display could be a worthwhile tradeoff. There’s also a 4K display option, but that component will eat your battery life. The keyboard deck is made of durable aluminum so you can bang on it a bit during intensive gameplay. To HP’s credit, the company sweated some details in the Pavilion Gaming Laptop’s design. The chassis color is a simple black, but you can choose a backlight color: Ghost White, Acid Green, or Ultraviolet. The display has narrow bezels to maximise screen space. 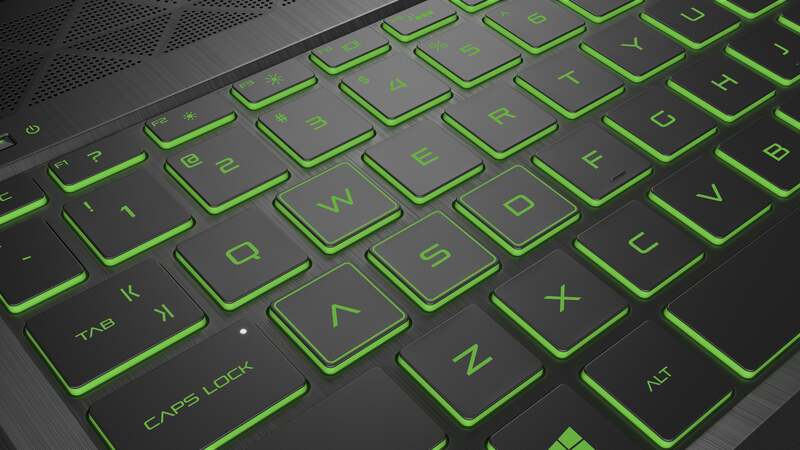 The keyboard’s not mechanical, but an aluminum keyboard deck adds durability in case you’re the type to take things out on your computer when the game’s not going your way. The speaker grille runs above the keyboard to maximize sound output, the better to immerse yourself in gameplay. Ventilation makes or breaks a gaming laptop—no one wants the CPU or GPU to throttle because they can’t take the heat. HP builds large vents into the hinge area and positions the dual fans right in the corners by those vents, rather than placing them deeper inside the machine, to maximize airflow. Shop for a mainstream gaming PC, and you’ll quickly find a bunch of very similar competitors jostling around certain, sweet price ranges. The HP Pavilion Gaming Laptops jump right into the fray, with their own share of good points and nice details compared to rivals. I’d say the storage options deserve the most credit for carefully balancing speed and capacity. We’ll tell you more if we have a chance to review it.